Not only was I thrilled with the lowest gas prices I’ve seen in about 7 years, my heart was captured by the adorable Southern accents that are nonexistent on the west coast. 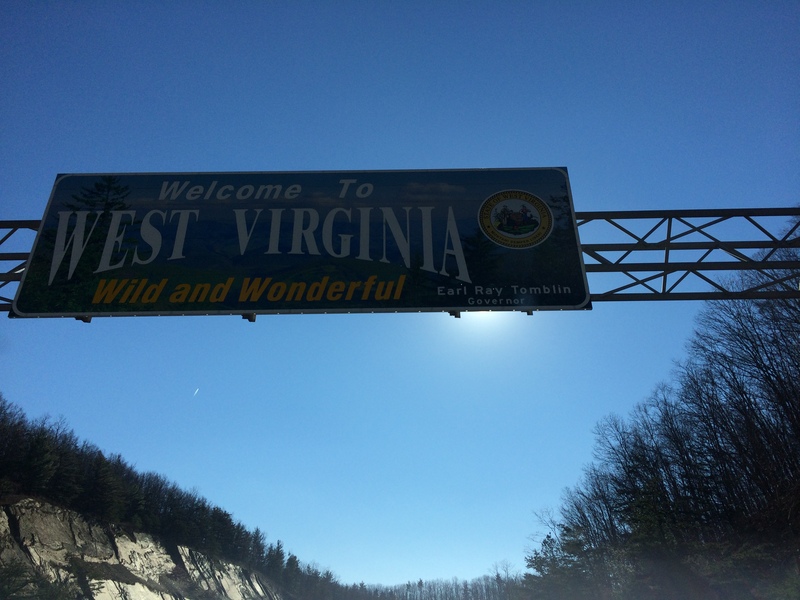 Geographically, Virginia and West Virginia sit along the east coast, but culturally, they embrace the South. I had no idea that the faint hint of a southern drawl spanned from Texas all the way to Virginia. Because I’ve only heard the charming accent in movies and media, I found myself focusing more on the sound of their voices rather than their words. 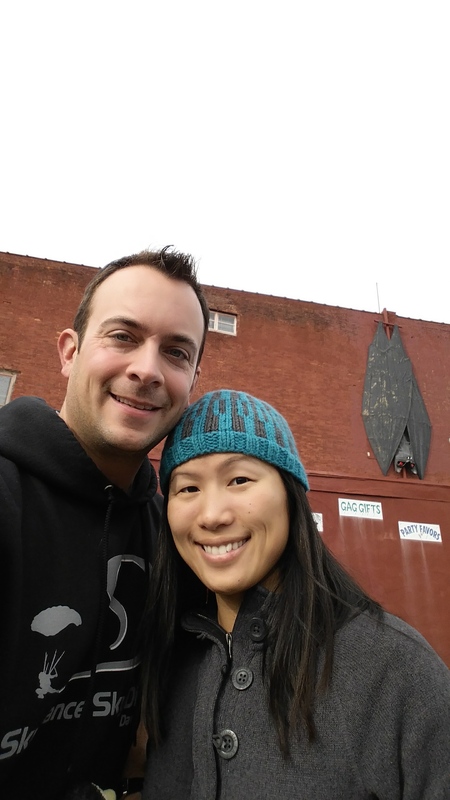 In any case, we made a brief stop to Richmond, Virginia to visit some friends. 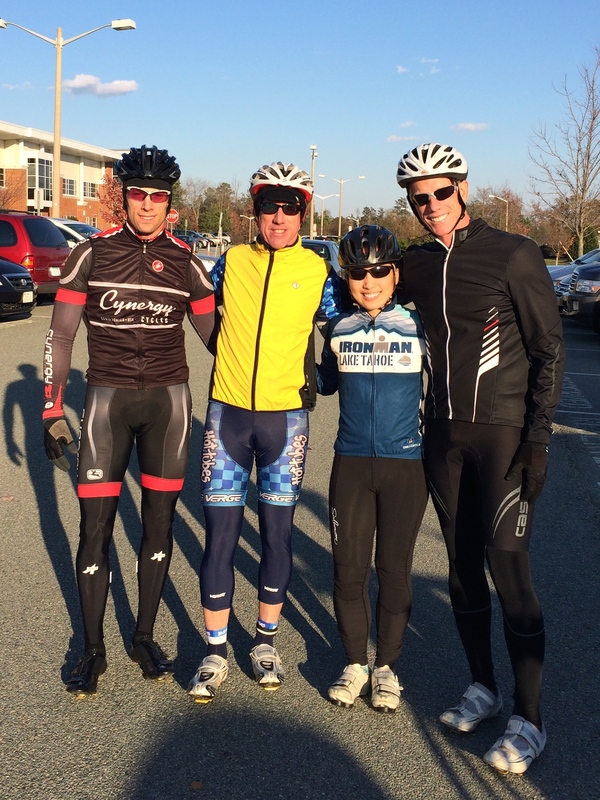 I even managed to get a quick bike ride in with my former coach before eating the tastiest brussels sprouts I’ve ever had in Carytown, the happenin’ shopping district of Richmond. Weather determined our next destination; we would either venture south for Great Smoky National Park in North Carolina or west to visit my aunt and uncle in the countryside of Kentucky. Rain and snow forced us to skip the national park, so we headed west (no more driving east, which meant we were finally homeward bound!!!). 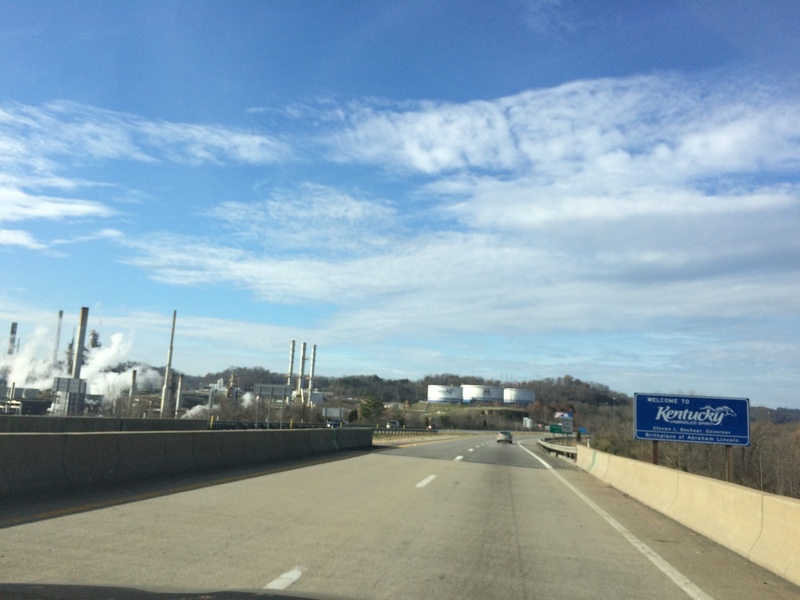 Between Virginia and Kentucky, we spent a night in West Virginia. 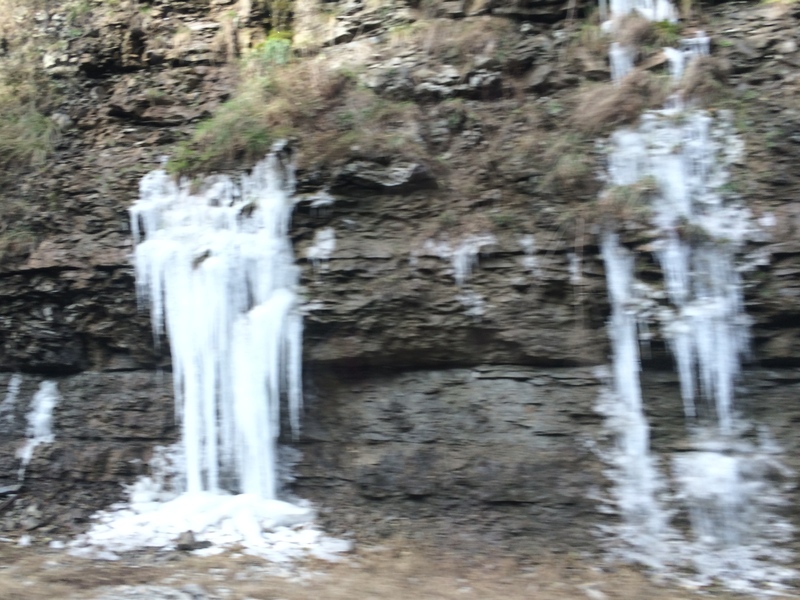 Along the way, we passed by walls of icicles that gleamed in the sunlight, something we never see in California. We camped not far from the river city of Charleston, West Virginia, along a small, riverside park. St. Albans Roadside Park offered free camping, bathrooms, electric hookups, and a dump/water for the summer. It was too easy to fall in love with this local park; we spent the rest of the evening lamenting the U.S. for not having more public sites like this. A couple other RVs were parked nearby; we engaged in a long, friendly conversation with a local who often frequented this special place. “Where ya’ll from?” he asked. When we told him San Francisco, he had to ask the question again because he wasn’t sure he heard correctly. San Francisco was so far! “We was just at a beach in Virginia,” he replied when I asked of his whereabouts. “Ya’ll have a safe trip!” he said when we parted ways. Sighs of delight, comfort, and satisfaction escaped my breath as I appreciated the combination of the clear sunset, late autumn foliage, riverside, and free amenities. 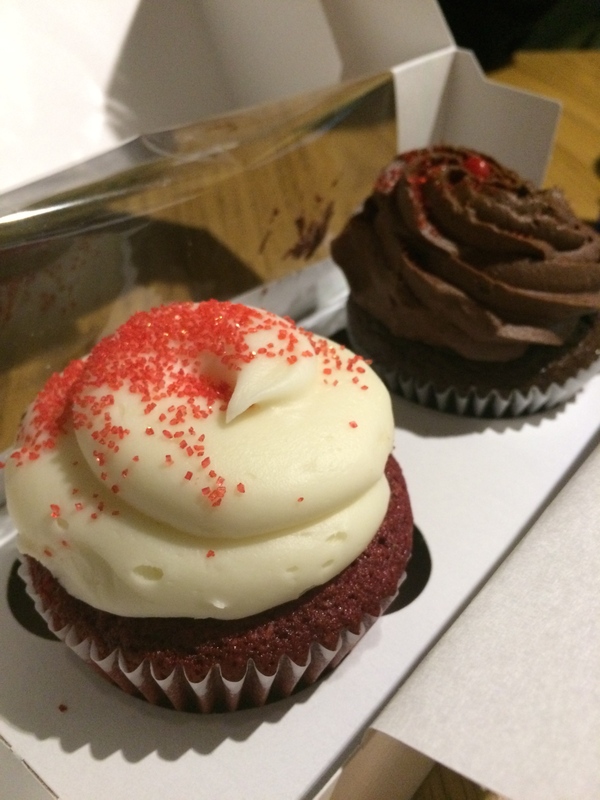 To top it off, we celebrated Scromp’s 2nd birthday with chocolate and red velvet cupcakes that my friend bought for me in Virginia. In the morning I peeped out from our window and was instantly fascinated by the small paddle wheel tug pushing a barge down the river. The Virginian local we spoke with the previous night told us this river was lively with jet skis, tugs, barges, and paddle wheel boats during the heat of the summer. 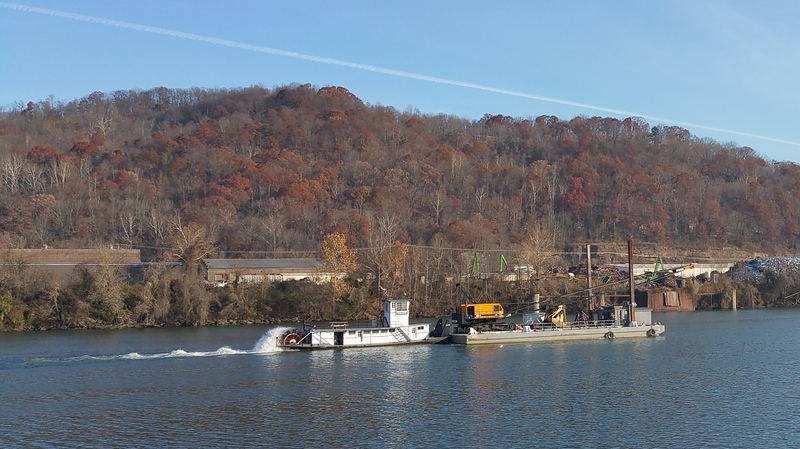 Not long after the barge disappeared down the river, we packed up and headed northwest for Kentucky. My aunt and uncle have a countryside house tucked away in the rolling hills of northern Kentucky, between Louisville and Cincinnati, Ohio. We parked Scromp in their front yard and got a glimpse of Louisville the following day. 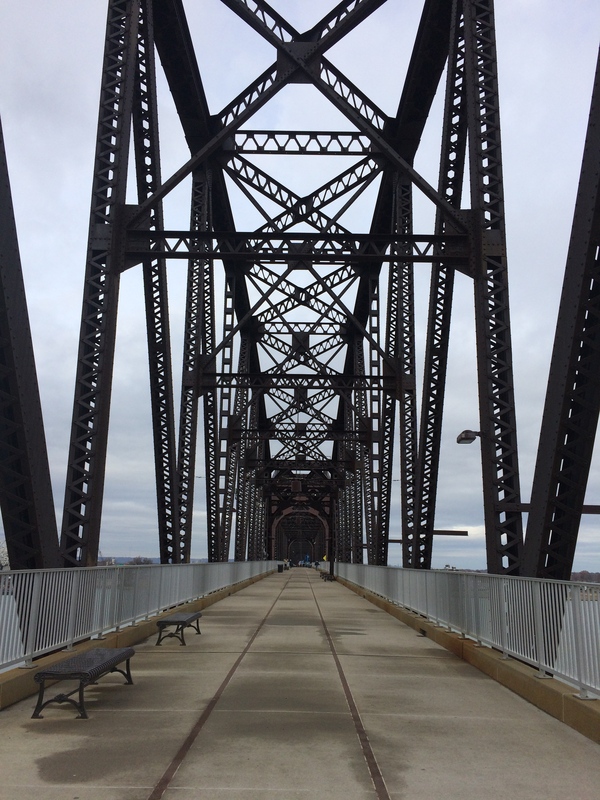 We walked across The Big Four Bridge (once a railroad) to Indiana and back, where the small-town Louisville skyline could be observed. Apparently this bridge was only completed on May 20th of this year; we came just in time! I actually have no idea what this building is. I just found its name fairly amusing. 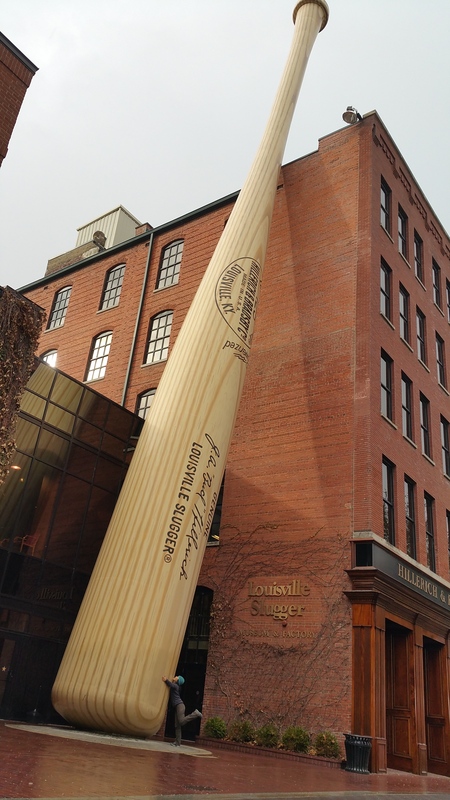 We had to snap a picture of the world’s largest baseball bat in front of the Louisville Slugger Museum & Factory. 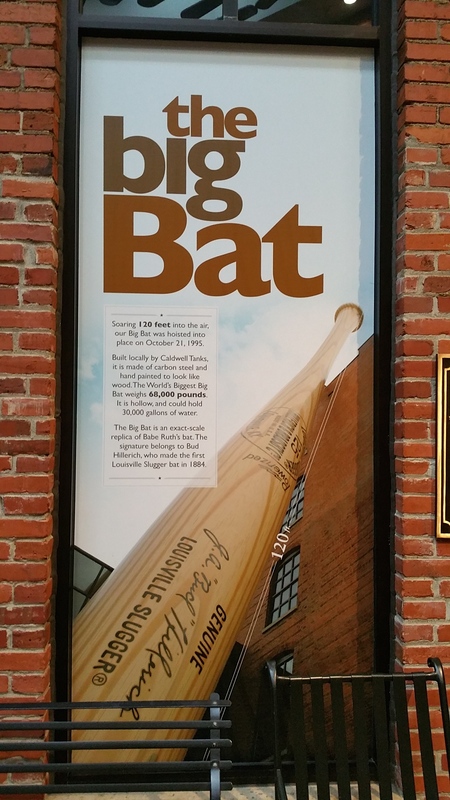 Yep, all their bats are designed and produced here! 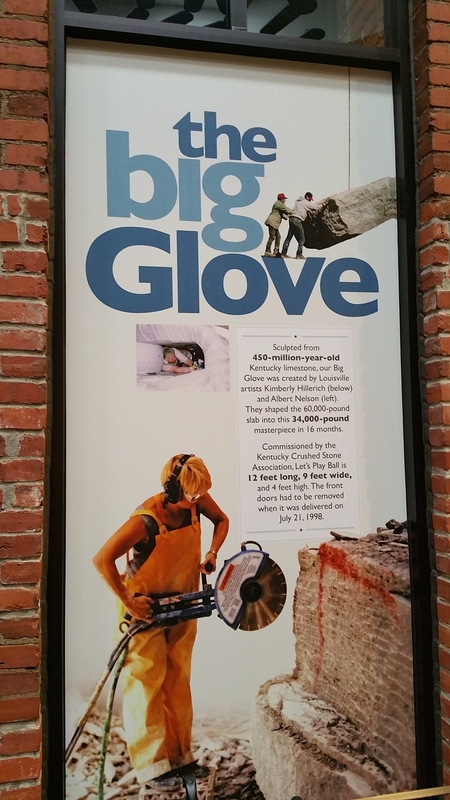 Within the museum sat this giant limestone glove sculpture, another amazing work of art. 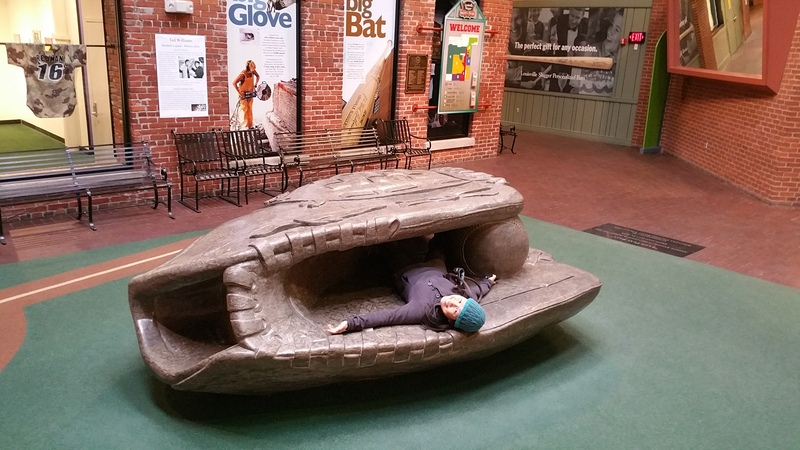 To our amusement, about a block or two down the street from the Louisville Slugger Museum was another giant bat on a wall. A different kind of bat. Har, har. 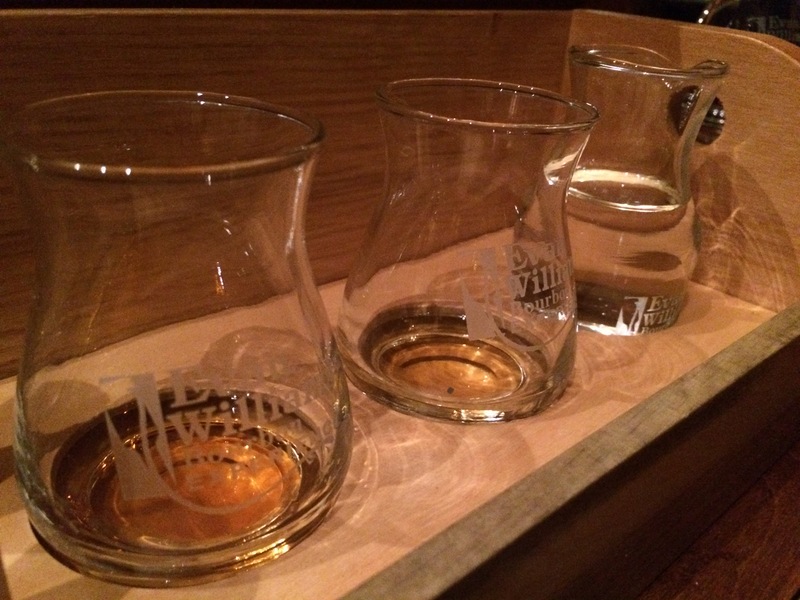 And after a comforting lunch of southern fried chicken with honey and cheesy grits, we got the ultimate Kentucky experience–bourbon tasting. 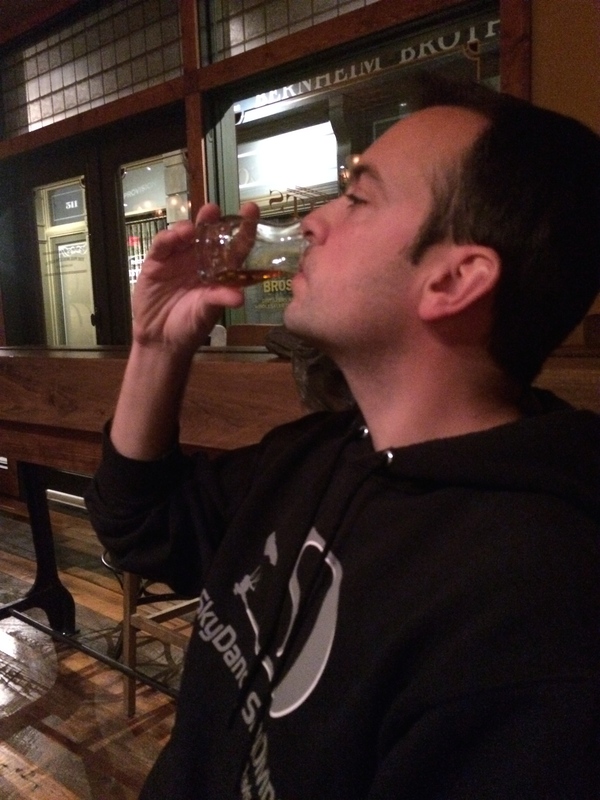 To be honest, I’m not a huge fan of liquor, but I appreciated the tingling warmth of bourbon in my belly amidst a chilly day. 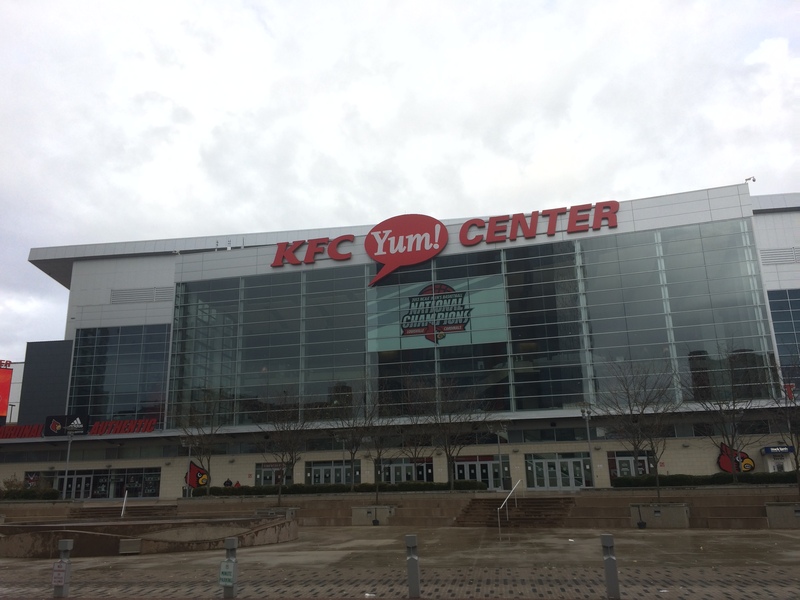 Oh, I also fulfilled a lifelong childhood dream by eating KFC in Kentucky. It met my low expectations, but at least I was served by and dined among a crowd of Southern hospitality while consuming the cheap, artificial-tasting chicken. We made up for the somewhat foul meal by devouring the gourmet fried chicken with honey and grits in downtown Louisville I mentioned earlier. Family. Baseball. Fried chicken. 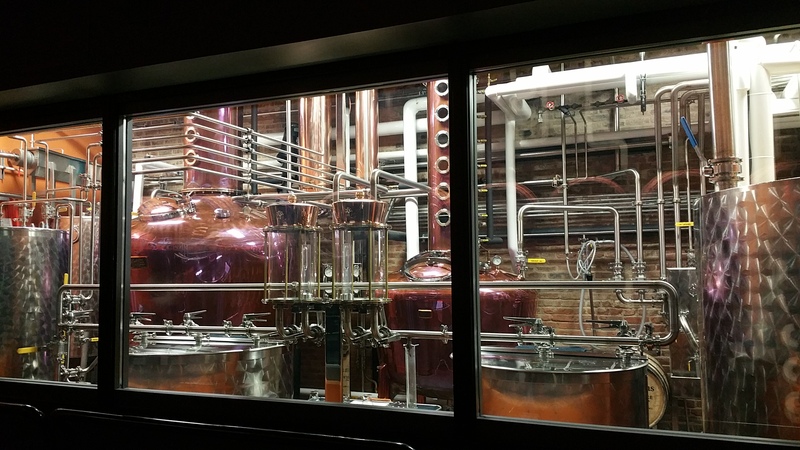 Bourbon. 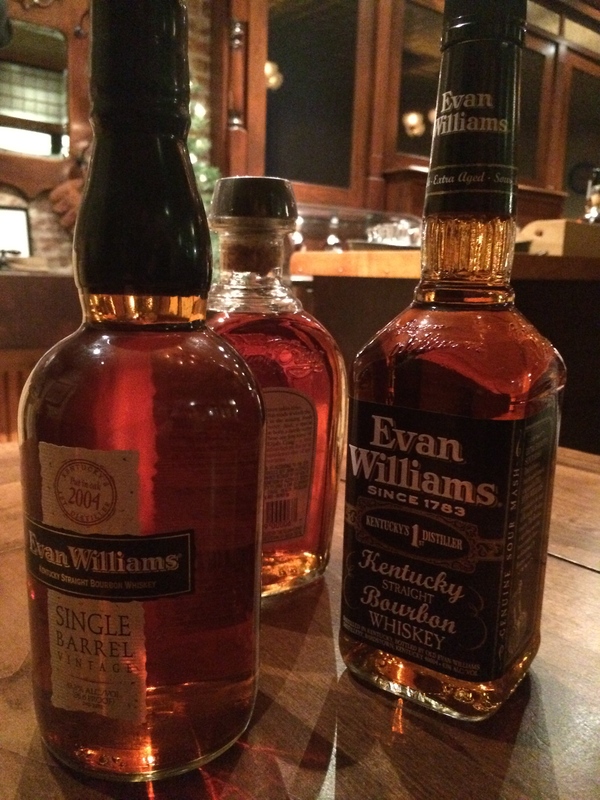 And that about sums up my brief Kentucky experience before heading further south into Memphis. Ellen, that makes me so happy to hear. 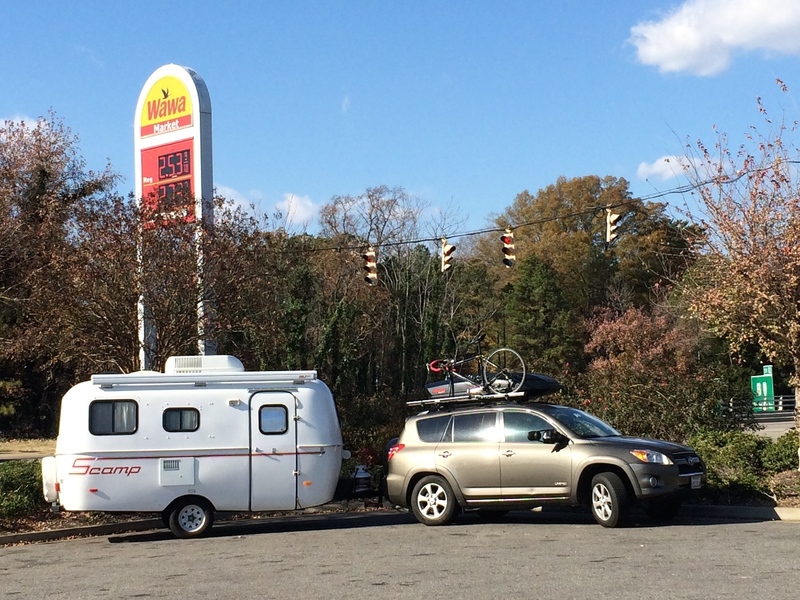 We’ve had our Scamp trailer for 2 years but only really used it for weekend trips. Now we are RV’ing for a little over 3 months, full-timing it and 99% boondocking all over the U.S. We knew we would enjoy RV’ing, but we didn’t know we’d love it as much as we are now. The freedom, exploration, learning, and discoveries are priceless.